The topic of getting rid of stretch marks is a heavily debated one. While some experts swear that you can get rid of stretch marks with simple home remedies, others are convinced that there is absolutely no way to prevent, fade, or remove stretch marks (and any attempt to is simply a “waste of time and money”). So, what’s true? Can you get rid of stretch marks or are all efforts to eliminate them simply futile? As with most contentious topics, the truth is somewhere in the middle. Those who say that you can’t get rid of stretch marks have a point: outside of prescription retinoids, powerful laser treatments, and medical-grade chemical peels, there are no other known treatments that are scientifically proven to completely eliminate stretch marks. However, those who champion home remedies for stretch mark removal also have a point: with consistent use of the right topical ingredients, a healthy collagen-boosting diet, and consistent effort, it is possible to lessen the appearance of stretch marks over time. The problem with most natural stretch mark remedies is that they can take quite some time to work—and there is no single oil, cream, or food that will do the job on its own. Getting rid of stretch marks naturally requires consistency, time, and a variety of natural remedies from skin care to diet. Don’t be surprised if it takes six months to a year in order to notice a visible change in the appearance your stretch marks. Also, there are just some stretch mark remedies that do not work. Collagen creams, for example, are the snake oils of stretch mark removal. Why? Because collagen molecules are far too large to penetrate the skin deeply enough; thus, they cannot increase the amount of collagen that exists at the deepest layers of the skin where stretch marks occur. 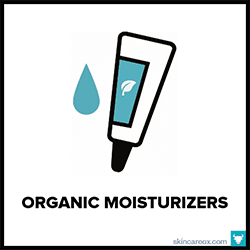 Additionally, simply moisturizing your skin won’t reduce stretch marks either. While maintaining hydrated skin is beneficial for overall repair, moisture alone won’t visibly change the look of your stretch marks. So, what natural remedies do work? That’s the question that this guide was designed to answer. While you may not be able to remove your stretch marks entirely, you can treat pigmentation and stimulate collagen production in order to make your skin appear more normal. Collagen is the key to making stretch marks less visible over time. After all, it’s damaged collagen that is ultimately responsible for your stretch marks. In this guide, we’ll share the best skin care and nutrition tactics to boost your skin’s collagen production. The healthier your collagen supply, the better equipped your body will be to repair the damage caused by stretch marks. We’ll also share some of the best natural remedies for moisturizing, softening, and reducing pigmentation of the skin externally. Our skin is made up of three layers called the epidermis (top), dermis (middle), and the subcutaneous layers (lower). When you get a cut or scar your skin, typically it’s the epidermis that is damaged. Many topical treatments are great at healing normal epidermis damage because they are able to easily penetrate the top layer of skin and aid our bodies natural skin cell repair process. What makes stretch marks so frustratingly difficult to treat is the fact that the damage takes place underneath the epidermis — in the dermis or middle-layer of the skin. The dermis contains bundles of collagen fibers which are the proteins responsible for the structure and elasticity of your skin. Think of these bundles as an internal bridge that keeps our skin firm. When the skin is stretched rapidly, these collagen bundles are weakened and eventually break under the stress. Once that happens, the top layer of our skin appears stretched and wrinkled because there is no longer a strong support system of collagen underneath. Additionally, the skin’s ability to repair these bundles is impaired as well. Thus, once these fibers are broken, it is very challenging to heal them. Some stretch marks appear red while others are white. When the dermis is stretched, the blood vessels underneath the layer become more visible from the outside—causing a reddish hue. White stretch marks result when the fat beneath the skin is made more visible due to stretching. Typically, red stretch marks will become white once the blood vessels have receded. Any major stretching of the skin can cause stretch marks. The most common causes of stretch marks are pregnancy, puberty, and rapid weight changes. It is thought that during these bodily changes certain hormones, called glucocorticoids, are produced which can weaken collagen and elastin fibers and make them more susceptible to tearing. Based on what you’ve just learned about stretch marks, you can see why collagen and elastin production is crucial to preventing and repairing stretch mark damage. Collagen is the most abundant protein in our bodies. Starting in your early 20’s your collagen production begins to diminish. By the time you reach your 70’s-80’s your body will produce 4x less collagen than it did in your youth! This is one of the main reasons why our skin sags and wrinkles with age. The good news is that you can take steps to stimulate new collagen production and protect your existing collagen from damage. The bad news is that repairing and boosting your collagen supply cannot be done by simply eating collagen or slathering on collagen creams directly. When it comes to natural remedies for stretch marks, there are no shortcuts. Increasing your skin’s collagen supply is a long-term game that requires commitment. You won’t be able to try just one tactic and see a measurable difference. In order to effectively boost your collagen and repair your stretch marks over time, you’ll have to combine several recommendations and use them consistently until you get the results that you want. Zinc aids in collagen production by activating the proteins and amino acids (namely collagenase) necessary for collagen synthesis (source). Without an adequate amount of zinc, your body’s ability to repair itself is significantly impaired. Vitamin C is crucial to the production of collagen. Vitamin C is used to make all 18 types of collagen found in the human body. Vitamin C is required to form the precursor of collagen, called pro-collagen. Without a healthy supply of vitamin C, your body simply cannot produce collagen efficiently. Additionally, vitamin C is a potent antioxidant which can also protect your existing collagen from free radical damage. Luckily, vitamin C is fairly bioavailable. Thus, you can easily increase your supply of vitamin C with diet and skin care. Vitamin A is a form of retinoid which has been shown to encourage the reconstruction of collagen and help stimulate production (source). Lots of fruits and vegetables contain a compound known as beta-carotene which your body converts into usable vitamin A. There has been some controversy over the use of vitamin A in skin care because it can increase your skin’s sensitivity to UV damage and may cause a variety of health problems. Thus, we’re advise that you increase your vitamin A via a healthy diet instead of retinol creams. Vitamin E isn’t involved directly in collagen formation; however, it works synergistically with vitamin C to help repair and protect collagen. Vitamin E is also a powerful antioxidant that helps to protect your skin from UV damage and free radicals. 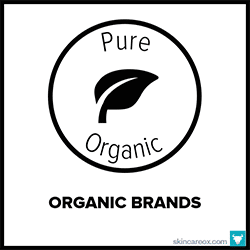 Most topical creams and oils simply do not work to repair stretch marks. 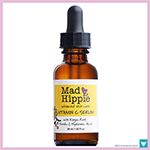 Topical vitamin C serums have been proven to increase your skin’s production of collagen. The problem with pure ascorbic-acid vitamin C is that it is highly unstable and can quickly degrade. As a result, many skin care manufacturers have turned to synthetic forms of Vitamin C. Synthetic Vitamin C types are more stable than ascorbic acid, can be absorbed by the skin. 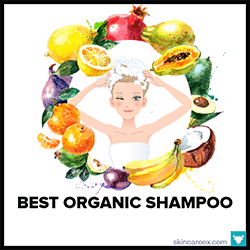 Common types of synthetic Vitamin C include L-ascorbic acid (the best synthetic form), magnesium ascorbyl phosphate, ascorbyl palmitate, Vitamin C esters, sodium ascorbyl palmitate, and sodium ascorbyl phosphate. Look for a vitamin C serum that contains synergistic healing ingredients like ferulic acid, vitamin E, and hyaluronic acid. How to Use Vitamin C Serums for Stretch Marks: Find a vitamin C serum that uses a stable form of ascorbic acid and has a concentration between 2%-20% (higher concentrations can cause irritation). After cleansing the affected area, gently massage the serum directly to your stretch marks twice daily until it has been fully absorbed. 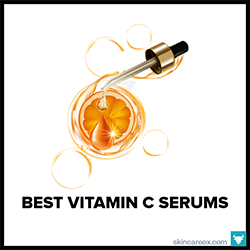 Apply your vitamin C serum first and wait until it is fully absorbed before layering on other serums or oils. Vitamin E works synergistically with vitamin C to build, repair, and protect collagen. Without vitamin E, vitamin C is less effective at stimulating collagen production. Specifically, vitamin E plays a role in collagen formation and the successful arrangement of the collagen fibers. How to Use Vitamin E Oils for Stretch Marks: Find a vitamin E oil made from a high concentration (at least 5,000 IUs or higher) of natural d-alpha-tocopherol. Then, simply massage the vitamin E oil directly onto your stretch marks twice daily. Vitamin E oil can be easily mixed with other oils in this article. Check out our DIY Stretch Mark Serum recipes below for ideas. Rosehip seed oil is packed with natural vitamin A, vitamin C, Vitamin E, and omega fatty acids—which makes it a great stretch mark treatment because all of these compounds play a vital role in collagen development. 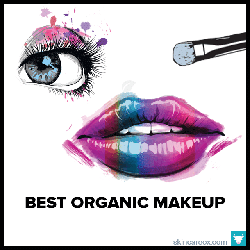 These compounds are also great at reducing pigmentation and redness. Rosehip seed oil is a fragile oil with a short shelf life of roughly 3-6 months. Choose a rosehip seed oil packaged in a dark glass container and store it in a cool, dry location (or keep refrigerated) to prevent rancidity. Rosehip seed oil can be combined with other carrier and essential oils to create a stretch mark serum. How to Use Rosehip Seed Oil for Stretch Marks: Find a high-quality, 100% pure rosehip seed oil (preferably in a dark container). You can either massage a few drops of pure rosehip seed oil directly onto your stretch marks twice daily or combine the oil with other oils to form a serum. Rosehip seed oil can be easily mixed with other skin care oils such as vitamin E, argan, coconut, and tamanu oils. Tamanu oil comes from the dried nuts of the Ati Tree in the South Pacific and has been used for centuries as a powerful skin healing treatment. The oil has a unique makeup of fatty acids, coumarins, and xanthones which expedite the healing process and promote the formation of new skin. BioScience Laboratories conducted a study of tamanu oil’s ability to reduce stretch marks and their findings were published at the Australian Society of Cosmetic Chemists in 2003. The study subjects used tamanu oil on their stretch marks twice daily for nine weeks and were able to reduce the size of their stretch mark scars by .12 centimeters. How to Use Tamanu Oil for Stretch Marks: Gently massage a few drops of pure tamanu oil onto your stretch marks at least twice daily. Tamanu oil is rich and thick, but can easily be absorbed by the skin with proper massage. Tamanu oil can also be blended with other skin care oils like rosehip seed oil to form a daily serum. The most powerful feature of argan oil is its ability to repair skin damage like acne scarring, stretch marks, and dry skin. The Vitamin E in argan oil penetrates deep into the skin to improve elasticity while triterpenoids work to heal tissue scarring. According to a 2016 study, argan oil was found to increase skin elasticity. They noted that argan oil may be helpful in both preventing and treating stretch marks. How to Use Argan Oil for Stretch Marks: Argan oil should be mixed with another potent collagen-boosting or skin-rejuvenating oil like rosehip seed oil or tamanu oil for maximum effect. Massage a few drops of your argan oil mixture directly onto your stretch marks twice per day for several months. Coconut oil has a long history of improving skin elasticity and skin cell regeneration. This is due to the oil’s fatty acid composition. Coconut oil isn’t strong enough to be used as a standalone stretch mark treatment, but it can help to improve the overall appearance of your skin. Thus, it is best to combine coconut oil with a more potent stretch mark treatment like rosehip seed oil or a vitamin C serum. How to Use Coconut Oil for Stretch Marks: Coconut oil must be mixed with a collagen-boosting oil or serum for best results. You can either layer coconut oil over a vitamin C serum or combine it with rosehip seed oil, tamanu oil, and/or frankincense essential oil. Apply your coconut oil mixture at least twice daily directly onto the stretch marked area. Frankincense oil has been used for centuries for its ability to repair damaged skin and soothe irritated skin. Although there aren’t any definitive studies showing the effect of frankincense oil on stretch marks, there is a considerable amount of anecdotal evidence. Because of this, we wouldn’t rely solely on frankincense oil to treat stretch marks but we would include this oil in any DIY stretch mark remedy. How to Use Frankincense Essential Oil for Stretch Marks: Frankincense oil is a powerful essential oil and must be mixed with a carrier oil (like argan oil, rosehip seed oil, coconut oil, etc.) before being applied to the skin. Mix a 5-10 drops of frankincense oil into at least 1/4 cup of your desired carrier oil. Apply the mixture twice daily to your stretch marks. Bone broth is a wonder food for collagen production. Bone broth contains a bioavailable form of collagen which your body can synthesize and use immediately. Bone broth is made from the bones, joints, and cartilage of animals. These parts are rich in a form of gelatin which at least two studies have shown actually increases our bodies collagen supply (source & source). Beef bone broth is richest in type I collagen, which makes it the best choice for skin health and stretch marks. How to Use Bone Broth for Stretch Marks: You can either drink a large cup of grass-fed beef bone broth daily or mix an organic beef collagen powder into a smoothie or glass of water. Bone broth powders tend to be more convenient. Just make sure that whatever you use is grass-fed, organic, and hormone free..
Hyaluronic acid is found naturally in your connective tissues and works to bind collagen with elastin to create supple, stretchy, healthy skin. Hyaluronic acid allows your body to properly use collagen effectively. A lack of hyaluronic acids will lead to sagging, wrinkled skin that can’t hold up when stretched. The best ways to increase our hyaluronic acid supply are diet or supplements. Unfortunately, topical hyaluronic acid cannot penetrate deep enough to have an impact on your collagen health. Bone broth is a great source of hyaluronic acid. You can also find vegetarian hyaluronic acid supplements made from bacterial fermentation. How to Use Hyaluronic Acid for Stretch Marks: Th e easiest way to boost your hyaluronic acid supply is by eating bone broths (check with your doctor or health care provider before taking hyaluronic acid supplements). You can drink a large cup of chicken bone broth daily or use a powdered bone broth which contains hyaluronic acid. A diet rich in vitamin C will both boost your collagen production and protect your existing collagen from future damage. The best sources of vitamin C are fruits and dark leafy greens. Acerola cherries have a ton of vitamin C (just ½ cup provides 913% of your daily value of vitamin C) and can be purchased in powdered form and added to smoothies or water. Other foods that are high in vitamin C include mangos, kale, red peppers, kiwis, citrus fruits, and papayas (just to name a few). You can also try taking a whole food vitamin C supplement daily. How to Use Vitamin C for Stretch Marks: There are a few ways to increase your vitamin C intake. First, you can eat a diet rich in vitamin C boosting foods such as mangoes, kale, red peppers, and citrus fruits. Second, you can also add 1 tsp of acerola cherry powder to water or a smoothie daily (provides 800% of your daily vitamin C). Lastly, you can take a whole food vitamin C supplement daily. While there is no evidence that topical aloe vera gels can improve stretch marks, there is some evidence that dietary aloe vera can actually significantly boost your collagen production. A 2015 study showed that eating aloe vera powder increased the production of collagen and hyaluronic acid by 1.5x. That’s a really meaningful boost. Be sure to eat only 100% pure aloe vera juice or a totally pure aloe powder supplement daily for the best results. How to Use Aloe Vera for Stretch Marks: Find a pure aloe vera juice or supplement which contains only inner leaf aloe. The compounds found on the skin of aloe may be harsh on the digestive system. Take the supplement as directed or drink a cup of pure aloe juice daily. Zinc plays an important factor in activating the building blocks of collagen. Approximately, 8-11mg of zinc is recommended daily; however, it can be quite difficult to get this amount of zinc through diet alone. Thus, you may want to consider adding a zinc supplement to your daily routine. Some dietary sources of zinc include chicken, beans, oysters, and nuts. How to Use Zinc for Stretch Marks: Oysters are the best dietary source of zinc (8-9mg/oyster) as well as other shellfish. Since oysters are not typically easy to eat daily, it is best to look into a zinc supplement to get your daily recommended amount of zinc. Vitamin A is made up of a group of active compounds known as retinal, retinol, retinoic acid, and pro-vitamin A carotenoids. These compounds work together to fight free radicals and protect your skin against UV damage, stimulate new cell production and tissue growth, and smooth wrinkles. Since some controversy exists around potential health issues from topical vitamin A, we’re going to recommend that you get your vitamin A from natural food sources. Vitamin A is easy to obtain from both plant and animals sources. How to Use Vitamin A for Stretch Marks: Beta-carotene is converted into usable vitamin A by the body and can be found in orange foods like cantaloupes (373% daily value per melon), sweet potatoes (377% daily value per cup), butternut squash (277% daily value per cup), and kale (98% daily value per cup). You can also get vitamin A from animal sources such as beef liver (713% daily value per slice), cod liver oil (150% daily value per tsp), salmon (25% daily value per half filet), and butter (11% daily value per tablespoon). The amino acids that are important for the production of collagen are L-glutamine, L-proline, cystine and glutamic acid. Additionally, vitamin E works synergistically with vitamin C to improve collagen production and function. Luckily, vitamin E is pretty abundant in many food sources, so it’s unlikely that you have a vitamin E deficiency. However, if your diet primarily consists of processed foods, then you may want to increase your intake of natural sources of vitamin E.
How to Use Amino Acids & Vitamin E for Stretch Marks: The amino acids for collagen production can be found in egg whites, wheat germ, dried beans, nuts, kale, lean meats, fish, dairy products, and soybeans. Vitamin E can be increased by eating a diet rich in sunflower seeds (58% daily value per 1/4 cup) , almonds (37% daily value per ounce), spinach (19% daily value per cup), avocados (16% daily value per cup), peanuts (10% daily value per ounce), and olive oil (10% daily value per tablespoon). Derma rollers work by using tiny needles to break up damaged skin cells by creating tiny micro-injuries on the surface of the skin. The theory is that these tiny injuries stimulate collagen & elastin production as the skin attempts to heal itself. 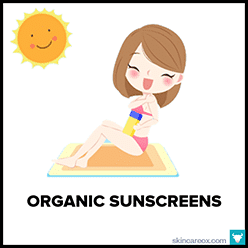 The process doesn’t hurt, though it may cause temporary skin irritation. There are tons of anecdotal stories about the wonders of derma rolling, so it’s definitely worth trying. However, don’t expect to see results overnight. It may take 6 months to 1 year of consistent derma rolling to see dramatic changes in the look and feel of your stretch marks. Please note: you may come across articles online recommending that you use a 1.5MM derma roller for stretch marks. DO NOT use a 1.5MM derma roller for home use. This can cause severe bleeding, pain, and irritation and should never be attempted without a numbing cream or professional guidance. For home use, stick with a derma roller between .25MM and .5MM –especially if you’ve never used a derma roller before. These are gentler and far less irritating on the skin. How to Use a Derma Roller for Stretch Marks: To use a derma roller effectively for stretch marks first apply a serum to your skin (we recommend a vitamin C serum or pure rosehip seed oil). Then, using a .25MM – .5MM derma roller, gently roll the tool over your stretch marks at least 12 times in various directions. Finally, reapply your serum to the area. Give your skin time to heal before repeating the process (about 3-5 weeks) and be sure to moisturize the area daily with a good vitamin c serum, coconut oil, or rosehip seed oil. If derma rollers aren’t your style, then you can try routine chemical peels to get rid of your stretch marks. Chemical peels work by using acids of various strengths to slough off the top layers of skin. This process stimulates skin cell regeneration and can be effective at helping to reduce the appearance of stretch marks. Stronger acids remove more layers of skin than weaker acids. For home treatment of stretch marks, it is recommended that you use weaker acids, such as alpha-hydroxy and beta-hydroxy acids, to avoid causing serious damage to your skin. How to Use a Chemical Peel for Stretch Marks: Find a gentle, yet effective chemical peel that is made from fruit acids (AHA or BHA) or a mild glycolic acid and use it up to 2 times per week for a few months. Please note, it is not advised that you use chemical peels while you are treating your skin with a derma roller. Body scrubs work by stimulating blood flow and improving circulation. This process can help to jump start the skin’s natural healing process. While you can buy pre-made body scrubs, you can also easily make your own scrub at home. Simply keep a jar of the scrub in the bathroom and use it whenever you take a shower. Check out our DIY Stretch Mark Body Scrub recipes below for some great stretch mark removal concoctions. How to Use a Body Scrubs for Stretch Marks: Gently massage your body scrub of choice onto and around the stretch marked area for around 5 minutes. So long as no irritation occurs, you can use your body scrub on the affected area every time you take a shower. For the purposes of healing your stretch marks at home, there is really no need to go out and buy expensive pre-made stretch mark creams. Because collagen molecules are too large to penetrate deeply beneath the skin, collagen-based creams won’t be effective at healing stretch marks. Thus, you’re better off making your own serums & creams at home using natural ingredients that have some evidence of promoting collagen production. Additionally, homemade stretch mark remedies are much more affordable as you can make several batches from just a few ingredients. Combine all of the ingredients above into a dark-colored jar or pump bottle (like this one) and shake well. Pump bottles are preferable over jars or droppers because they protect the oils from exposure to air which may decrease their shelf life. Rosehip seed oil is a very delicate oil with a short shelf life (3-6 months), so using a airtight, dark-colored, pump bottle and keeping your serum in a cool, dry location will help to keep your serum fresh for longer. Apply this serum to your stretch marks at least twice daily for several months. Add the shea butter, coconut oil, argan oil, and vitamin E oil into a small sauce pan. Turn heat to low and simmer the ingredients until melted. Once the mixture is fully melted, mix or whip gently and remove from heat. Stir in your frankincense oil and rosehip seed oil. Store the mixture in a small glass container. Apply this cream to your stretch marks at least twice daily for several months. Mix all of the ingredients together in a large bowl. Adjust the amount of coconut oil to reach your desired consistency if necessary. Pour mixture into a glass jar. Gently massage the mixture onto your stretch marks a few times per week in the shower. 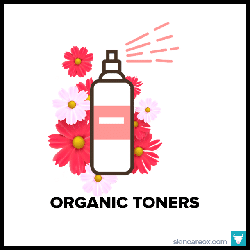 Reduce usage if you skin becomes sensitive or irritated due to over scrubbing. 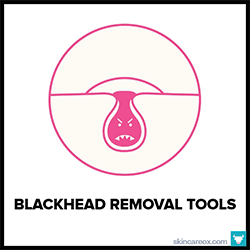 BEST BLACKHEAD REMOVAL TOOLS & TREATMENTSA complete guide to blackhead removal tools and blackhead prevention skin care.